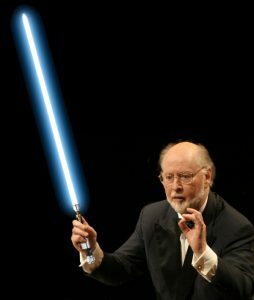 John Williams is arguably the finest film composer who ever lived, and he is still working right now (on Star Wars ep. VIII and eventually ep. IX). I have known his music since I was a child and spent hours listening to the 4-LP set of the original Star Wars (now titled “A New Hope”). His work on blockbusters like Star Wars, Harry Potter, Indiana Jones, ET, and Jurassic Park is well known. 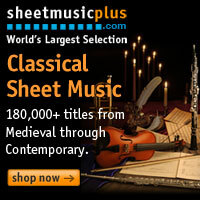 Those scores are all gigantic and heroic and contain larger-than-life themes and mammoth orchestrations. Maybe you didn’t know that he wrote some music for smaller films that is just as good (or better) than his big scores. Let’s take a look at those shall we? This is a fairly recent film that documents the Israeli response to the 1972 kidnapping and murder of their Olympic athletes at the hands of the PLO. The film depicts a small group of covert assassins and spies that work outside the law, but still at the behest of the Israeli government to hunt down and dispose of the masterminds behind the terrible incident. It features an as-of-yet unknown Daniel Craig, a terrific performance from Eric Bana (lead), and a very good ensemble cast all at odds with their assignment. Bana’s character is a true Israeli patriot, but is conflicted with his mission to kill these men. It is this conflict that shows through the beautiful and haunting score by John Williams. The score is reminiscent of Schindler’s List in its tragic but hopeful themes. Spielberg loves to make films dealing with his Jewish heritage, and his love for his people shows in his films. Likewise, Williams scores all of Spielberg’s movies so he knows what he wants. Munich is a perfect example of this wonderful partnership. If you didn’t know John Williams wrote the music for Home Alone, you might be able to guess just by listening. Williams’ treatment of Christmas material is brilliant here. He borrows a bit from the Nutcracker for the frolicking chase sequences. At the same time, he also shows a tender and nostalgic side of Christmas with the beautiful Somewhere in My Memory. This song has been covered by just about every American Idol or Voice winner as well as many other recording artists since its release in 1990. This song really shows Williams’ ability to bring it down a notch and write a beautiful and simple song to enhance the film. It’s not exactly the Imperial March now is it? This film, released the same year as Home Alone, is as different as can be from holiday family fun. This is a dark and suspenseful murder mystery. Harrison Ford’s character is an attorney accused of killing a colleague and former lover. The movie is based on the book by Scott Turow and is an excellent thriller. You never know if he actually did it, or if he’s being framed. The evidence points in one direction, but then shows something else. The late Raul Julia is superb in his defense of his client and there are other great cameos as well. The score is on a much smaller scale than Williams’ other masterpieces. In many parts, only piano is featured. It is a very serious piece. Just like the film, the score is rarely “fun.” This is a departure from the Indiana Jones and Jurassic Park scores written around the same time. This is one of my favorite John Williams scores. He really does a great job melding the style of the music with the film. The film deals with a teenager who runs away from home and pretends to be, among other things, an airline pilot, doctor, and lawyer. Leonardo DiCaprio is the teenaged check forger, and Tom Hanks is the gruff FBI man trying to catch him. The film has lots of the typical Spielberg mirth which is deftly handled in the score. The opening title sequence is one of the best in all of film. Take a look! If you like a jazzy representation of the ’60s, this is the score for you. This is another film score that is miles from his blockbuster work. It’s a great film too with a tear-jerking performance from Christopher Walken to boot. John Williams is simply a great film composer. Whatever the director asks for, he delivers. In addition, he has written some of the most recognizable music of our generation. Everyone can hum Star Wars or Indiana Jones. One of my earliest memories of the Oscars as a child was Williams’ score to Raiders of the Lost Ark losing to Chariots of Fire. Vangelis? Really? I eventually got over that one, but I dare say Williams could stand to win more than just the five Oscars he has. I recently saw Rogue One, and loved the film. Williams did not write the score. Michael Giachino did, but if you listen closely, you will find that Giachino wrote it in the style of John Williams. That is high praise. When you can say that other composers write in your style, you’ve truly made it.